MANILA, Philippines (CNS) — Catholic and other humanitarian agencies prepared for another potentially devastating storm in the central Philippines as Typhoon Hagupit continued to gain strength and approached the same region devastated 13 months ago. 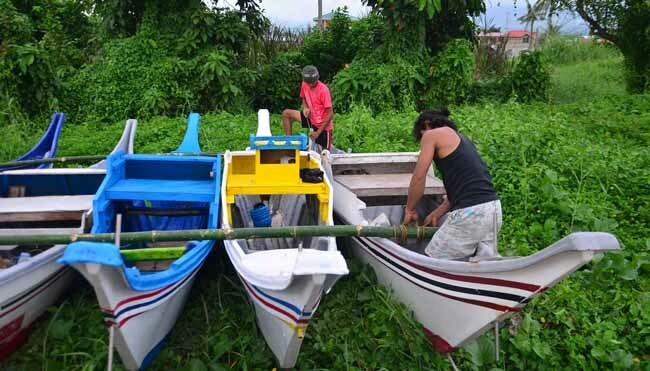 The government Dec. 4 ordered mandatory evacuations of flood-prone and coastal communities, including portions of Tacloban, which sustained heavy damage from Typhoon Haiyan in November 2013. That storm left more than 7,300 dead or missing and destroyed 1.1 million homes. Forecasters said Typhoon Hagupit was gaining strength quickly Dec. 4 as it swirled in the western Pacific with sustained winds of 128 miles per hour with higher gusts. Storm surges of 11 to 13 feet were predicted when the storm makes landfall Dec. 6. Joe Curry, country representative for Catholic Relief Services, told Catholic News Service that workers on Haiyan-related recovery projects were boarding up the agency’s offices in Samar and Leyte provinces, where the storm was expected to first make landfall. CRS workers also were moving to safe ground, he said. Curry said CRS was coordinating with Caritas Philippines and local parishes to prepare emergency provisions for deployment. An initial report from Caritas Philippines showed at least 4.5 million people from 14 provinces could be affected by the storm. The agency was in touch with seven dioceses, keeping tabs on what they would need to handle the impending emergency. Plan International also was moving its employees to safe locales while urging residents to take shelter away from danger zones. “We need to ensure our staff are safe. Currently some of our staff are heading home also to evacuation centers. That’s our number one priority,” said Richard Sandison, the agency’s Philippines emergency response manager. Sandison said he saw panic-buying at grocery stores and fuel suppliers in Tacloban. Long lines also were at ATMs, he said. In Palo, south of Tacloban, church officials were preparing evacuation centers. Msgr. Rex Ramirez, rector at the Palo Archdiocese’s Transfiguration of Our Lord Cathedral, said several chapels had been retrofitted to withstand powerful winds and were serving as evacuation sites. Msgr. Ramirez told CNS residents did not to be prodded to seek safety especially after the city sustained heavy damage and loss of life last year. In a Dec. 4 letter, Archbishop Socrates Villegas of Lingayen-Dagupan, president of the Philippines bishops’ conference, pleaded for government and nongovernment agencies to begin evacuations immediately. He also called on the faithful across the country to pray for those in the storm’s expected path. Cabinet secretaries meeting as the National Disaster Risk Reduction and Management Council told President Benigno Aquino about the panicked buying. They said some stores had closed, prompting the president to call for government-run temporary discount stores to be opened. The armed forces chief said the military was ready for deployment for humanitarian and disaster relief work. The energy department urged hospitals to set up generators because electrical power would “definitely fall” during the storm.